Battling a chronic disease can be especially difficult during the holidays as you manage travel, changes in weather and increased participation in activities with family and friends. 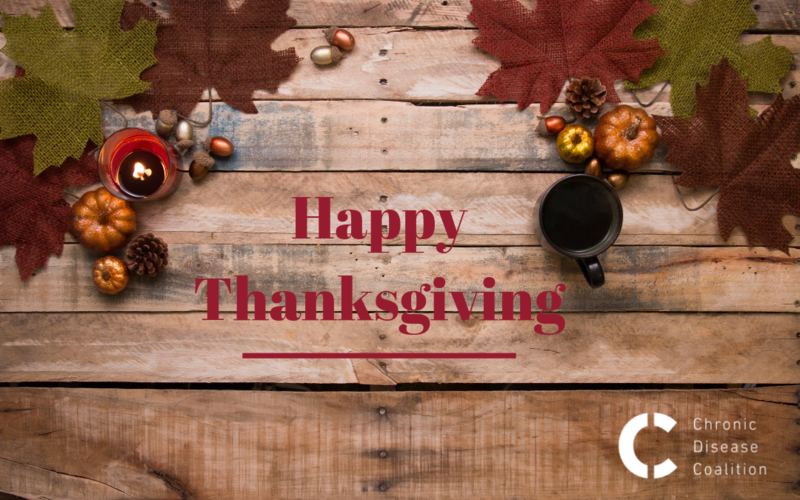 While it can be easy to focus on these challenges, the holiday season provides us with an opportunity to reflect on the year and remember all that we are thankful for. With Thanksgiving right around the corner, we asked our Ambassadors to speak out about the things they are thankful for when it comes to managing their chronic conditions. From amazing support systems, to learning how to practice self-care, there are many reasons our Ambassadors are thankful this holiday season. Studies show that expressing gratitude is good for your health, so we ask you: What are you thankful for this holiday season? Join the Chronic Disease Coalition, share your story and become part of our community.